Well, last night we got some of the best sleep we have all trip. The hotel is weird and probably not deserving of the three stars it claims to have, but the beds were comfortable and we were in them early…around 10:00 or so. With that solid night’s sleep behind us, we both woke up feeling a lot better than we did last night! On the topic of the hotel…this morning, we couldn’t get our email or anything. This is because apparently the hotel hasn’t been paying their Internet bill! If you tried to do anything online, you just got a page for British Telecom saying “Service suspended; your payment is overdue”. Very amusing, but also annoying. 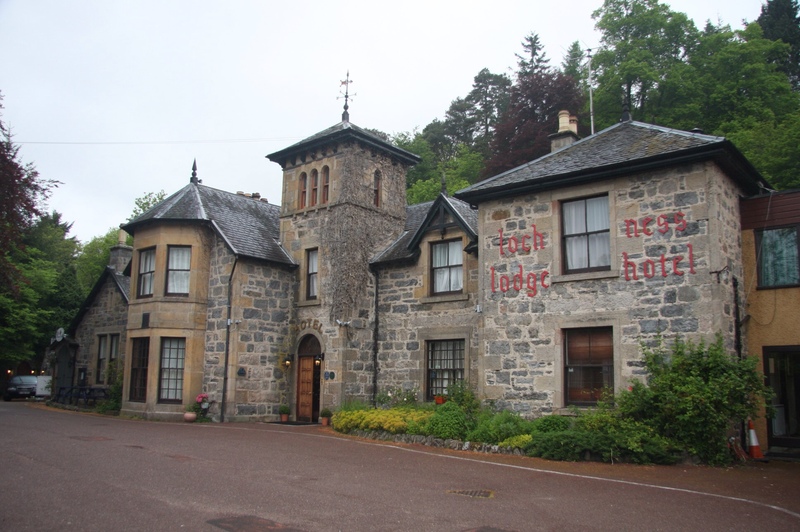 Certainly doesn’t reflect well on the hotel! I took a short wander outside before breakfast this morning; it was quite misty, but I took a few pictures. Breakfast was very average…though apparently there was a medical emergency and somebody came looking for anyone with medical training! We currently have three nurses and possibly a doctor in our group; one of the nurses went to help out. Pamela and I missed the whole thing, though we heard about it after, and saw the ambulance. The story we got is that an old lady who was at the hotel had a stroke; we doubt that’s true because the ambulance was in no hurry to take anyone anywhere. 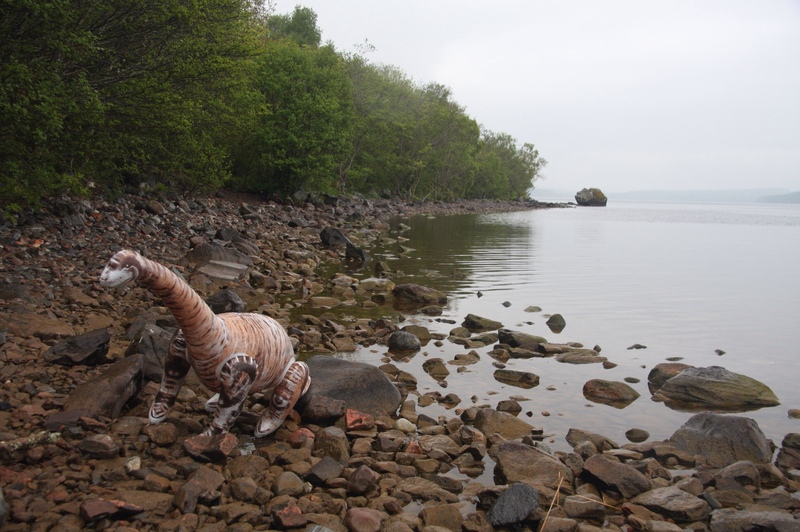 Nessie leaving Loch Ness. Doesn’t the terrain look exactly like the Whiteshell? 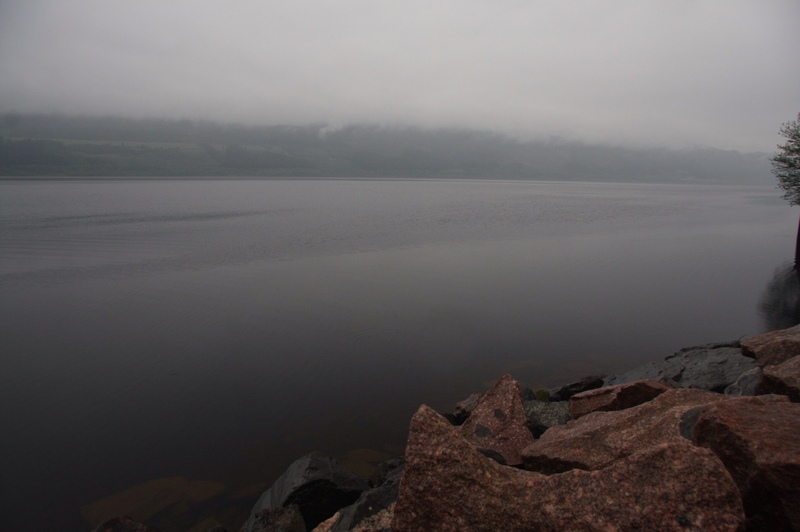 Then we started this morning with a cruise on Loch Ness. 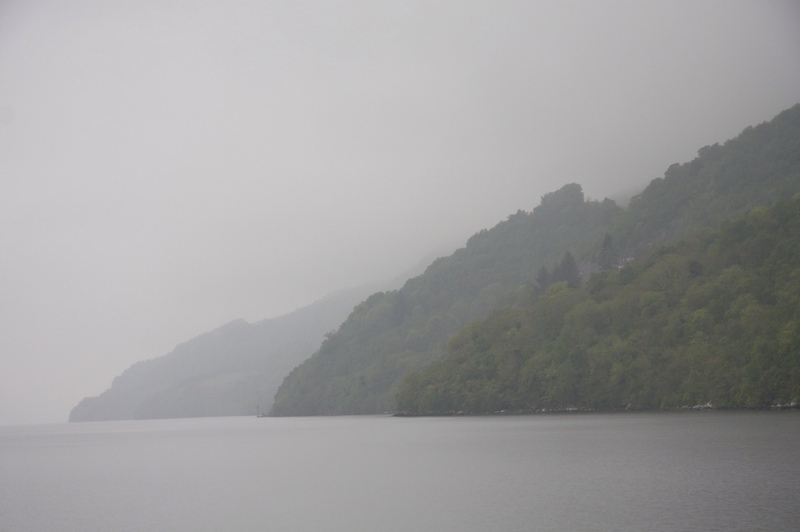 It was a little drizzly and misty, so while it was very pretty, nobody really wanted to be outside on top of the boat. It was a nice relaxing cruise, but the weather wasn’t great for photos. The scenery in the area was very similar to the Whiteshell! 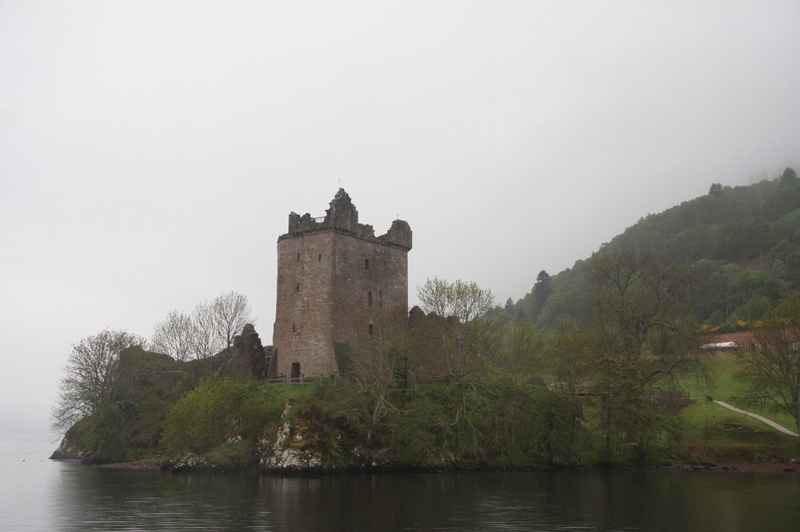 Though we did see a beautiful old castle on the shore (Urquhart Castle), which you wouldn’t get in the Whiteshell. We didn’t see Nessie, so that was disappointing. Now yesterday I said we had taken a longer drive than necessary, but I was wrong; I had misunderstood our guide. 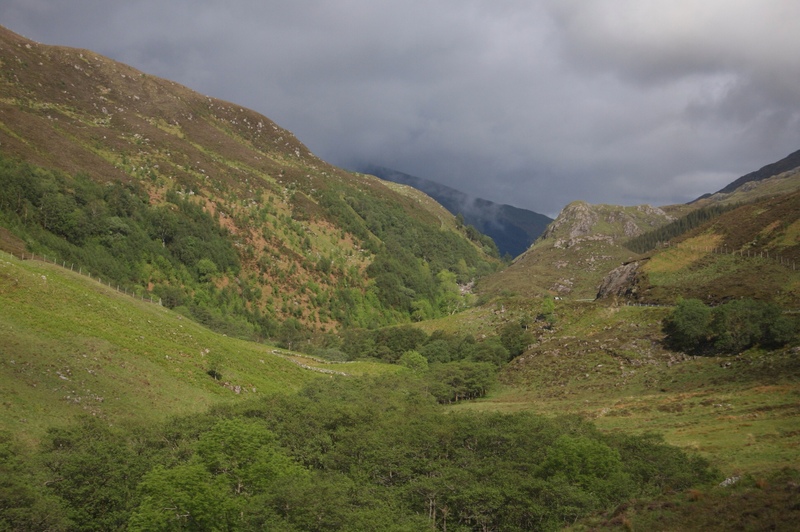 That bit was today: we did a scenic drive through the highlands. 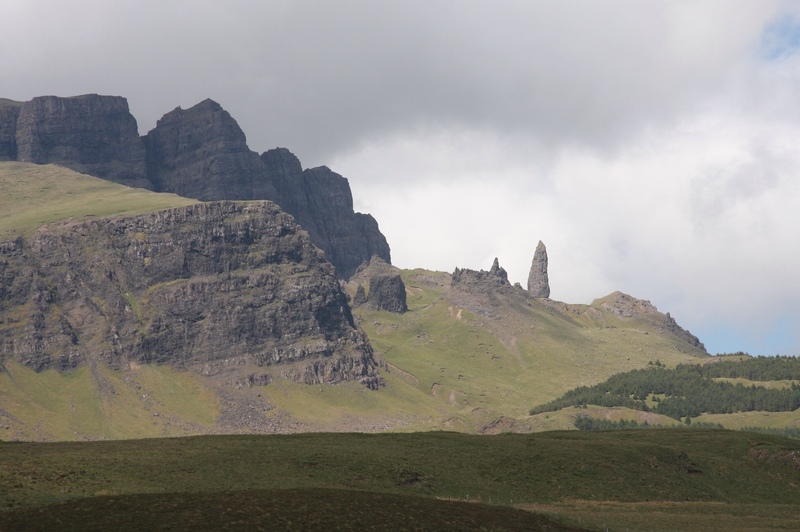 Specifically, we went for a drive on the Isle of Skye, which is just off the west coast of Scotland (you can get there on a bridge). There were no “attractions”, per se, on the island; it’s just a pretty drive. 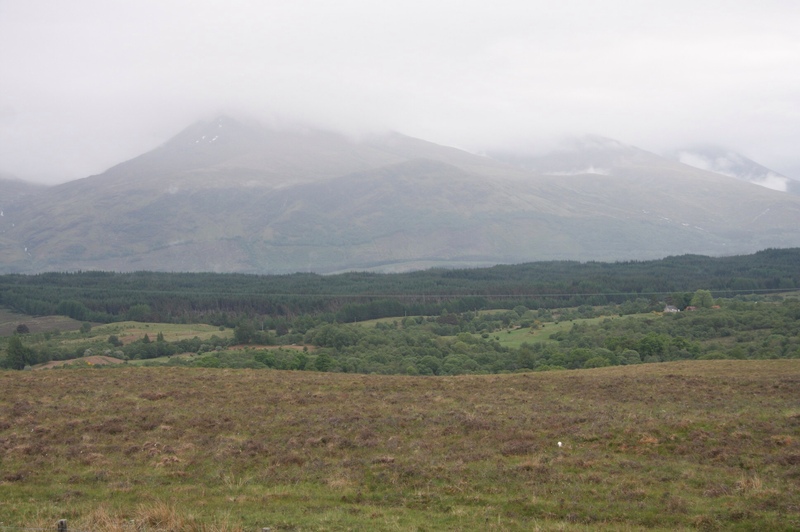 Lots of lochs, Gaelic signs, long-haired highland coos (aka cows), mountains, and windy roads. 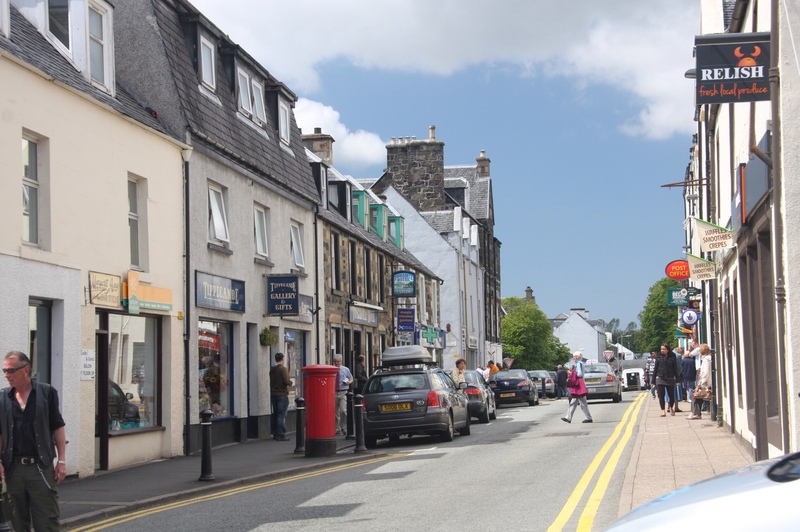 We made a couple of stops for photos, with lunch in the town of Portree. 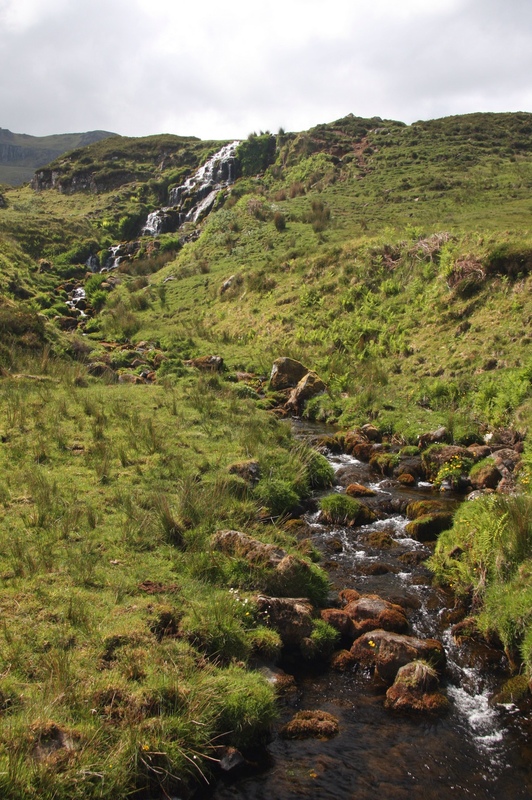 A river that apparently has the water of youth in it. You need to wash your face in it for seven seconds. The weather really cleared up as the day went on: by the afternoon we had bright sunshine and big expanses of blue sky. But it wasn’t hot, like it was earlier in the trip. Really, it was gorgeous. Hard to believe that we’re almost as far north as Churchill, MB! 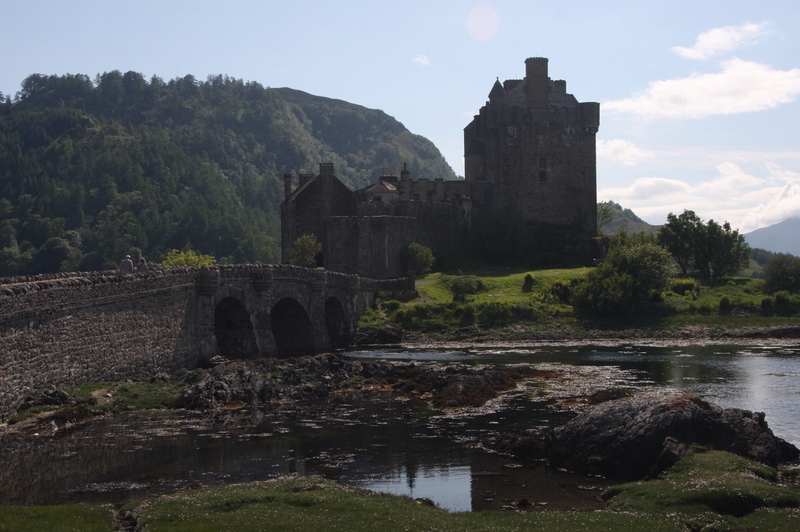 We also stopped at Eilean Donan castle. (Roxy pronounces this “illan donnan”; I don’t totally trust her in these matters but it sounds plausible.) There’s some weird story associated with this about a baby boy whose very first drink was drank out of the skull of a raven. It gave him the power to understand and speak to birds, but there’s some questionable parenting involved. Our last stop for the day was by Ben Nevis (sp?). 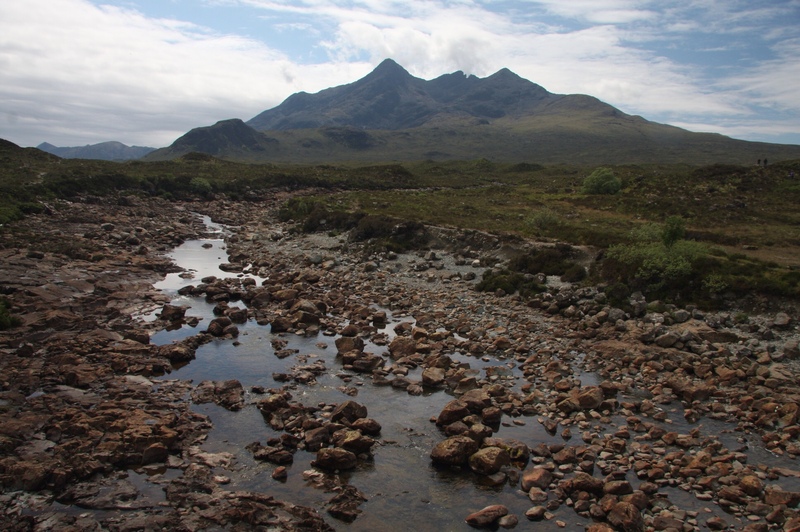 This is the highest peak in Scotland…though it’s not particularly high by, say, Rocky Mountain standards. Roxy says she’s never seen the top, and was getting optimistic with the nice weather we were having, but by the time we got there, it was cloudy again, and the peak was not quite visible. Oh well. For the night, we’re in a town called Fort William. It’s a “young” city, at least relative to the others we’ve been in, since this has only been around since the 15th century. It really gives you a sense of how old everything is here when a 500-year-old city is young. We’re a little ways away from the town pubs and restaurants, so most people opted for the coach ride into town for dinner, but a few of us just ate in the hotel bar. A great choice, actually…Pamela and I had a Cajun chicken breast dinner that actually was real food, not deep-fried, and felt like it might be prolonging our lives instead of shortening them. Tomorrow’s an early morning again: up at 6:30, on the bus at 7:45, so we’re hoping to get to bed nice and early again. And tomorrow night we’ll be in Glasgow for our last night with the tour group before we’re on our own again, so we might actually head out to the pubs with everyone for goodbyes. We both want to, but it depends how we’re feeling.